The Domaine Caroline Bonnefoy is spanning nearly 50 ha of which the majority is in the municipality of Valréas and in organic farming. 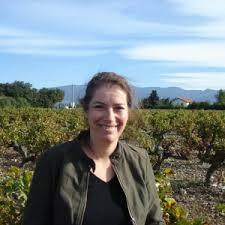 In 1999, after studying oenology, Caroline Bonnefoy decided to embrace the job of winemaker. To do this, she settled in Valréas on vineyards owned by her family for over a century. The vineyards are relatively sheltered from the Mistral and mostly southfacing. Highly variable soils and rugged terrain allow the production of dry red wines with a strong typicality. With the raising quality of these wines and the dynamism of winemakers, the AOC Rasteau rose to the rank of Cru Côtes du Rhône in 2010. Rasteau is also known for its production of fortified wines. 4,16 hectares in reconversion to bio. Total production of 150 hectoliters. Matures on French barrels. Soil with pebbles, clay and limestone. Powerful and fresh attack on crisp black fruits, balanced palate with a nice roundness, very fine, powerful and spicy long finish. Great!